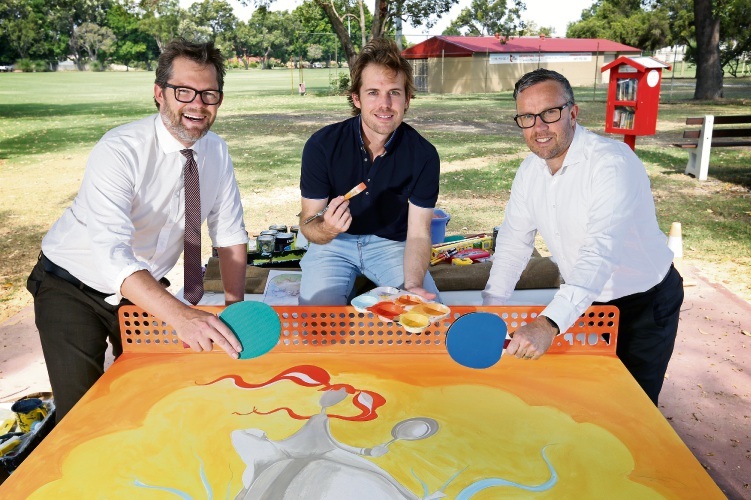 ARTIST Peter Ryan has captured the natural beauty of Noranda for his first table tennis table project. The table is located in a space between Hawaiian’s Noranda and Morley Noranda Recreation Club where there is picnic furniture and lighting. It will be launched at a community picnic on Saturday, from 11am to 1pm. 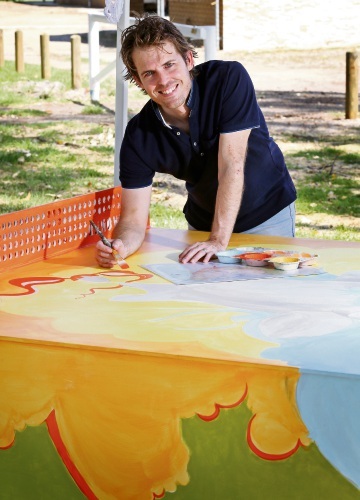 Ryan’s artwork was chosen as a crowd favourite, after it scored 465 votes on the City of Bayswater’s Facebook poll. The project is a collaboration between the City, Hawaiian and the Noranda Vibes community group. Artist Peter Ryan. Picture: David Baylis. Ryan, of Mullaloo, said he went for a more natural vibe with a earthy yet vivid colour pallet. “It was nice to play with the mirror effect…with one end featuring the tree trunk and the other the canopy,” he said. “Looking at the park and the nearby rec centre and sporting facilities, I wanted a balance between the two, but before coming up with my final design, I talked to a friend who grew up in the area. How many times can you say "Ping Pong Table" in 30 seconds?…mine's three! 😅😅🏓. A short clip by City of Bayswater from yesterdays painting at Hawaiian's Noranda Last painting day tomorrow, come say hi! Ryan said he would love to paint more sporting equipment in the future. Mayor Dan Bull said the space would create a better connection between the shopping and sporting precincts. Hawaiian’s general manager Scott Greenwood encouraged people to get involved and attend the centre’s final Social Saturdays event on Saturday.